Five years ago I had a shirt made in Vietnam. Egyptian cotton, black, collarless, it’s a perfect fit. It feels good to wear and even now it’s a ‘go to’ shirt for posh dinners, hot dates or important meetings. I can’t say the same for my off-the-rack stuff, which never lasts and usually ends up as paint rags in the garage. The trouble with bespoke clothing is the cost. To get a cotton shirt made in Sydney would cost around $200. In Hoi An, Vietnam I went to the best tailor in town and it cost $25. My only regret is I didn’t get five more like it. When I get back to that pretty riverside town, An Dong tailors shall be my first stop. This shirt story sums up one enticing difference between Australia and Vietnam. 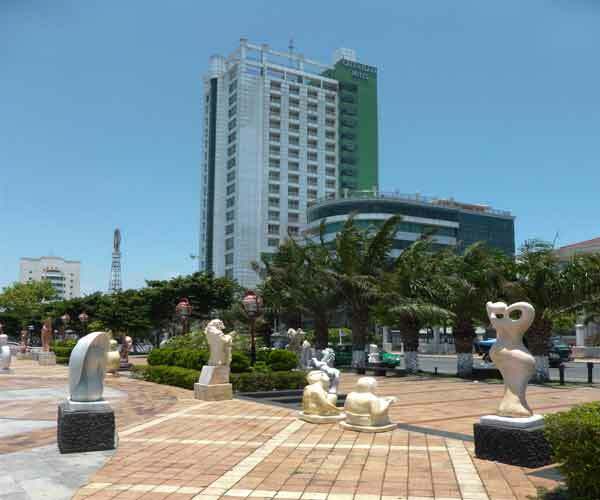 Vung Tau is close to Ho Chi Minh City. It was once a major base for Aussie troops and now it’s a popular beach-town retirement spot. Drop into one of the Australian bars here and you’ll pay less than a dollar for a beer. On my last visit to the Gold Coast I was paying over $10. Monthly rent for a fully furnished and serviced apartment in the heart of Ho Chi Minh City will set you back around $650 a month. That’s a short walk from all the action, the opera, the bars and restaurants where you’ll have a sit down dinner of several courses for less than $10. How much does your internet cost? In Vietnam expats get high-speed internet for $10 a month. But Vietnam is still something of an outlier in the retirement haven stakes. I get it. It’s not as easy and well-trodden a path as Thailand and Malaysia…not as close to home as Bali. Vietnam can be shocking. But it’s the right kind of shocks. Having been all over the world scouting retirement destinations it’s rare I’m even surprised by a place. But just go and see for yourself. 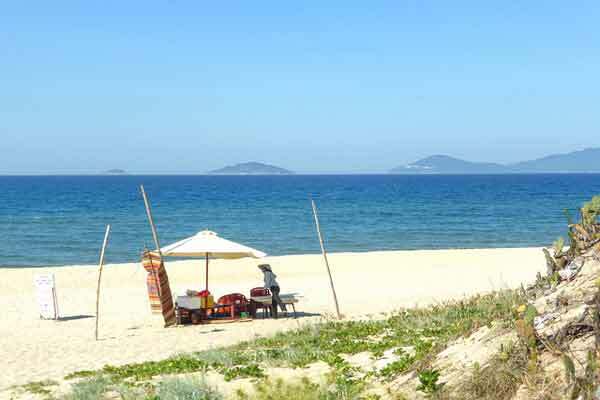 When I first went to Vietnam I landed in Da Nang. 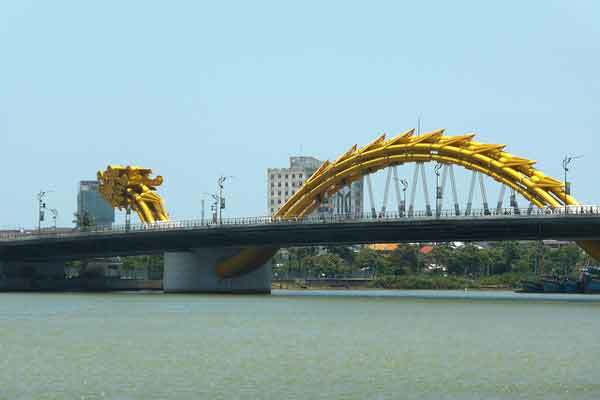 The fourth largest city in Vietnam. This was where the Americans had a major base during the war. I knew of a few expats. I had read about the ancient Cham civilization whose ruined city of My Son you can explore nearby. I saw pictures of the mythic Marble Mountains and the Cham Islands—a UNESCO biosphere. My first night I found a wine bar on the banks of the Hán river and watched night settle on the city. Close by was the Dragon Bridge. At 6 p.m. every evening fire pours forth. Here’s a photo I snapped of it the next day. Across the river I found the neighbourhoods most expats favour, sandwiched as they are between the river and Da Nang’s magnificent beach. There I spent my first morning drinking strong Vietnamese coffee looking out at the South China Sea. Later, roaming the streets I found pedlars selling French-style baguettes and I stumbled upon the pastel-coloured remnants of French colonial days. 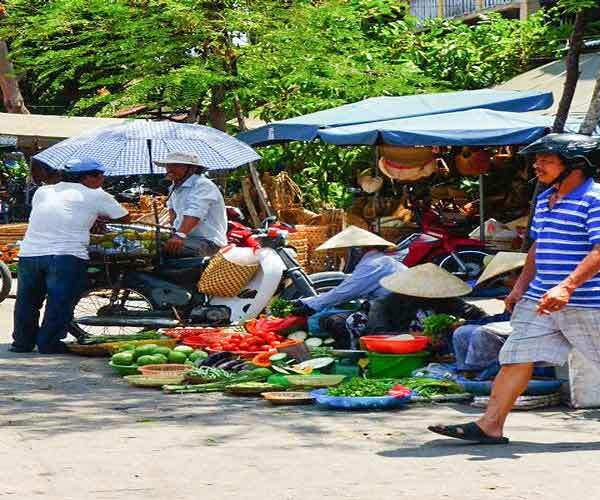 The biggest shock on this central stretch of coast was finding out that the beach in Da Nang stretched some 30 kilometres all the way to the historic town of Hoi An. 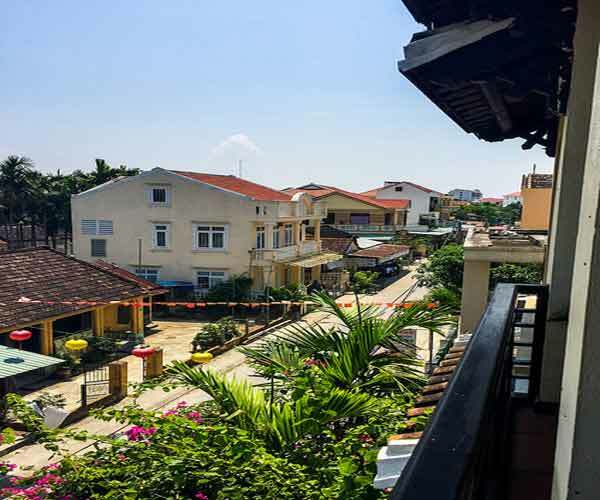 Hoi An is a unique historic town. 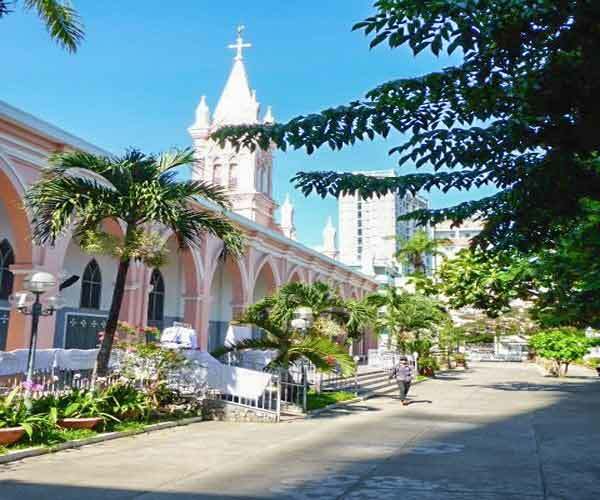 Once a booming port the river silted up thus preserving the 16th-century buildings, a fairy-tale mix of Vietnamese, Japanese, European and Chinese styles. 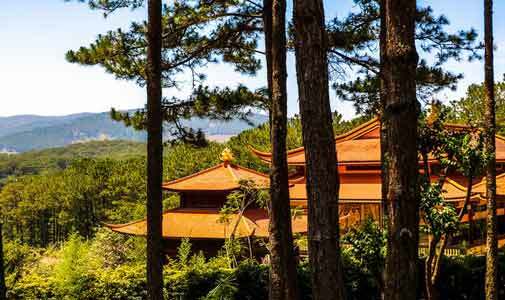 From Hoi An I travelled a few hours south and up into the hills to the biggest surprise of my trip…the mountain town of Dalat. No vision I had of Vietnam had included mist-shrouded pine forests and French-built chalets. 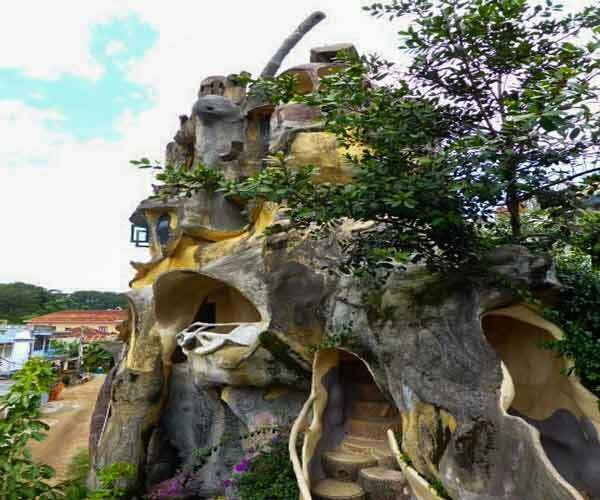 And it was here I discovered the Crazy House…a building of almost no right angles inspired by Gaudi and created by architect Dang Viet Nga. Poking around it is like being inside a Salvador Dali painting.